Choose from a variety of apartment choices. Secure your reservation today with our friendly team. Holiday for less with our fantastic specials and packages. 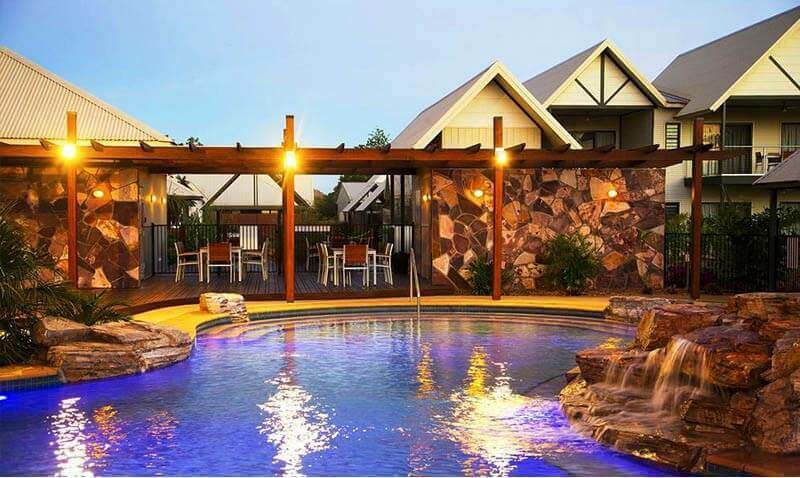 As Kununurra’s newest executive-style, self-contained accommodation, Freshwater East Kimberley Apartments provides the ideal relaxing environment for your business trip or holiday adventure. We have a selection of fully self-contained 1, 2 and 3 bedroom apartments with modern fittings and fixtures. Free Foxtel, including movie channels. Private Tropical Outdoor Shower (One & Three Bedroom Apartments only). Freshwater East Kimberley Apartments offers studio, one, two and three bedroom apartments set in tropical gardens in the East Kimberley town of Kununurra.. Located amongst beautiful tropical gardens and overlooking Celebrity Tree Park and Lily Creek Lagoon, Freshwater East Kimberley Apartments provides the ideal relaxing environment for your stay in Kununurra.